Exploring the spectrum of Asian flavours in Peruvian cuisine, Pachamama East in Shoreditch comes from the creators of Peruvian-inspired restaurants Chicama in Chelsea and Pachamama in Marylebone. The focus is on sharing at this plant filled, pastel and concrete, two floor restaurant on Great Eastern Street. With dishes from the 'Soil, Land and Sea', you get grilled hispi cabbage and smoked aubergine, whole jiang-glazed chicken and hand-pulled lobster noodles to choose from. 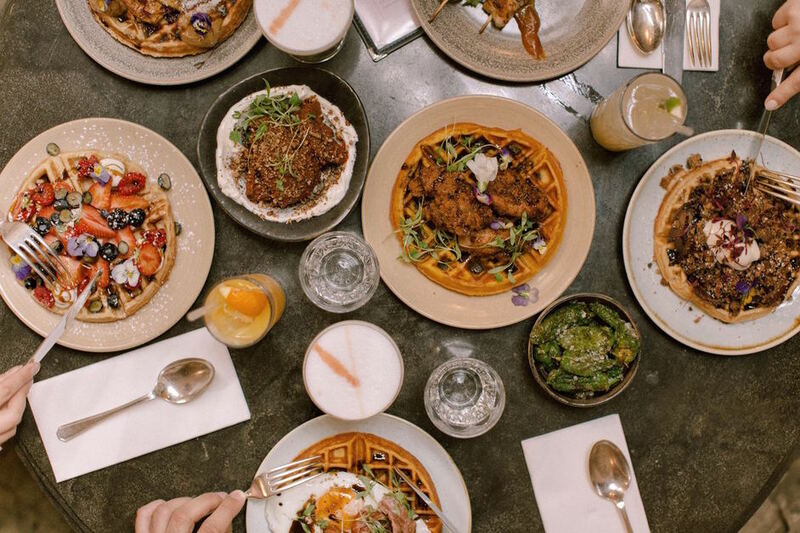 Ceviches and snacks like Sichuan fried chicken and pork belly chicharrones are also on the menu while brunch brings Peruvian waffles. The main bar, a beautifully sunken affair, is pisco driven, supplemented by bubble tea cocktails so it's a place for drinkers as well as diners to enjoy the South American party vibe with DJs lined-up throughout the week. For the private dining room, which seats 16, go down the black and pink tiled staircase to the lower ground floor space which hosts different chef collaborations throughout the year. Pachamama East gyms, sporting activities, health & beauty and fitness. The best pubs near London Pachamama East. Pachamama East clubs, bars, cabaret nights, casinos and interesting nightlife. Where to have your meeting, conference, exhibition, private dining or training course near Pachamama East. From cheap budget accommodation to luxury 5 star suites see our discounts for Pachamama East hotels, including Ace Hotel London Shoreditch from 84% off.